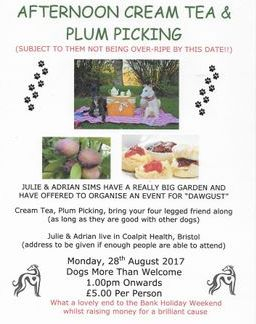 Representatives of Bristol DAWG (two legged and four legged!) 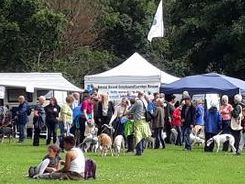 spent a greyt afternoon in Castle Park at Bristol Pride's, Dog Show. Some of our former residents also attended, which is always a thrill for us and we were joined by Sam, Su and Debbie from the Animal Health Centre, who were accompanied by Sam's daughter Lily and Debbie's children Harry and Brianna. We had a phone call today from Jo and Tony who adopted Bradley (now Theobald or Theo for short) a couple of days ago. Apparently he is amazing and they are totally in love. They cannot believe what a good boy he has been and how easily he has adapted to home life. He has been out and about meeting people and dogs and hasn't put a paw wrong. Thank you both for giving this lovely boy another chance in life - we look forward to updates. Think It is time to announce that Ruby has found her forever chair, but I know there is a sofa as well! !, in Princetown. Thank you for giving this lovely girl a second chance in life, we must also say a massive "thank you" to Amanda and Mike for very kindly fostering this sweet girl - although she wasn't with you for very long you did a brilliant job and we know you loved having her. Enjoy your new life Ruby, we are so grateful that Eila Moloney saved you. Absolutely brilliant news, Diane Sweet has joined the "failed fosterers" club!! 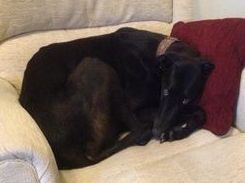 Prince has found his forever sofa in Portishead with Diane and her family. What a lucky boy he is. Thank you for giving this handsome boy another chance in life, he really is a special lad. 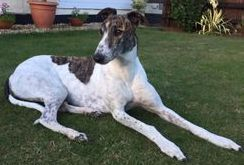 Brilliant news our beautiful brindle boy Bob has found his forever home with Kate and her little terrier, Onion. We must say a massive "thank you" to Jess and Andy for yet another foster - you guys are amazing and do such a good job, any dog which comes to you is very lucky. Gerry spent a lovely hour this evening with Tony, Charlie and Connor who have now adopted the lovely Jemma. This sweet girl has been waiting a long time for the right family, but she has now definitely landed on all four paws. 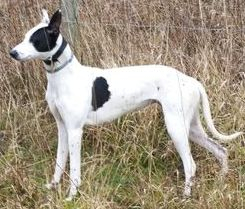 She has two other lurchers to play with and all three dogs are getting on so well. So lovely to see. Thank you to Evelyn Burt​ (and Billy Peanut) who very kindly fostered Jemma whilst she was waiting for her forever home. Brilliant end to the day. 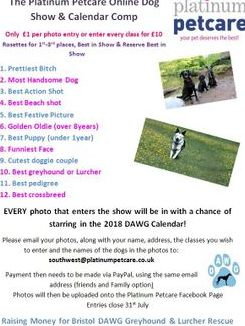 If anyone has any good quality, saleable items that could raise some pounds for the hounds please get in touch. 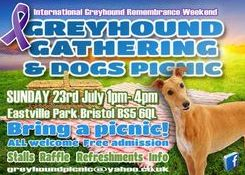 What a fab afternoon at the Greyhound Picnic, as always. 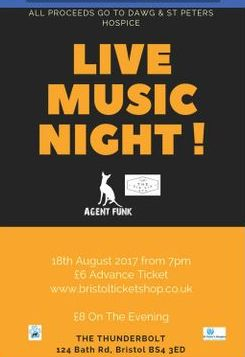 Pointy noses everywhere you looked; loads of former Bristol dawgs and lots of old friends to catch up with - what more could you want? Congreytulations to the organisers and thank goodness the rain held off until the very end. Please consider sponsoring them for embarking on this huge challenge - every £ goes a long way! Thank you to James and Kristie Davies who got up in the early hours of this morning to welcome Annie, Dennis, Goldie (above) and Lucy (top) to Tonew Kennels. 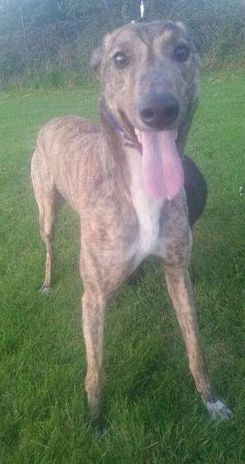 We are looking forward to getting to know these lovely greyhounds and finding them loving forever homes. 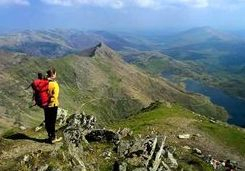 Congratulations to Megan, Kim, Avalon, Emma, Louise, Paul and Ady ofTeam DAWG who completed an ascent of Snowdon today, raising more than £1300! 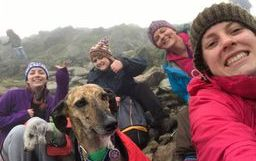 A special mention to Luna the galgo who was the only DAWG dog to reach the summit, accompanied by Fraggle, Rupert, Onion and Bertie. 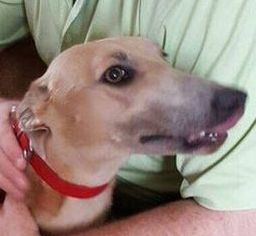 Gerry spent a lovely hour this morning with the O'Leary family who have adopted the beautiful Severn (now Maisie). 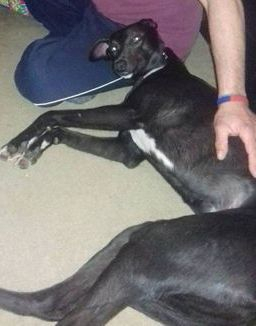 Maisie loves her new family and is absolutely brilliant with the children. Thank you for giving Maisie a wonderful new home and we all hope you have many happy years together. We must say a massive 'thank you' to Nick and Sharon Foulger for very kindly fostering this sweet girl while she was waiting for her forever home - she was a very lucky girl. You are amazing with all the foster dogs you have helped. Just waiting for the next "cat trainable"!!!! 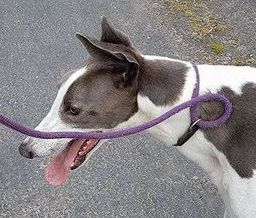 This month we have re-homed eight dogs which is really good. Let's hope for a good August too.